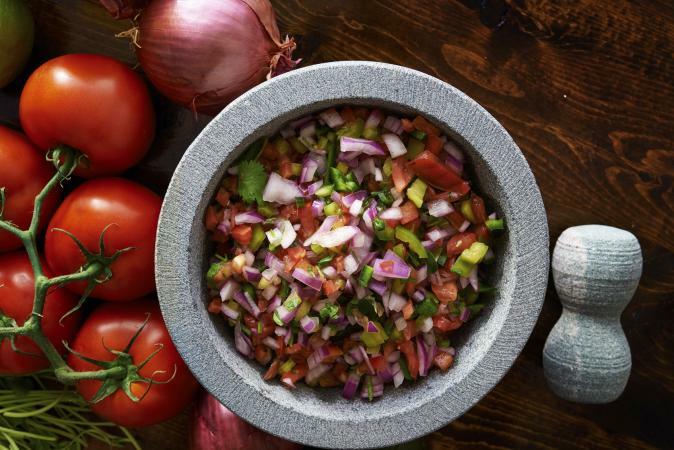 Making fresh salsa is quick, easy, and flavorful. 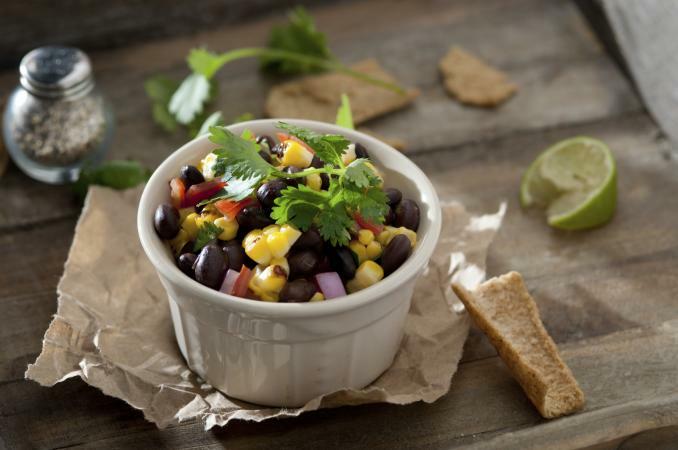 It's a great way to boost the flavor and color of all sorts of dishes, from Tex-Mex favorites to fish. 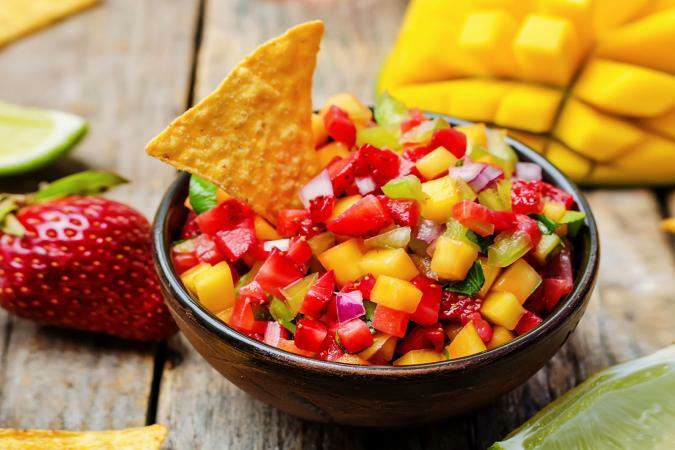 These recipes for no-cook salsa bring freshness and flavor to meals and snacks. This recipe makes about two cups of salsa, which should serve six to eight people. It's especially good when you make it with fresh, in-season tomatoes. Cover and refrigerate for 30 minutes to allow the flavors to blend before serving. This is a tasty salsa for chips, or it's delicious with grilled seafood, such as halibut or shrimp. It makes about two cups, which is six to eight servings. This recipe makes about three cups, which is about eight to ten servings. It's perfect for dipping chips, or it's delicious on a taco. Cover and refrigerate for at least 30 minutes to allow the flavors to blend. It's easy to vary any of the salsas above by adding ingredients, which will adjust the heat level. You can add milder or hotter peppers to any of the above salsas. For hotter salsa, try a pepper like a habanero. To make the salsa hotter, leave a few of the seeds in, or remove them completely to downgrade the heat slightly. Milder chilis you can use for the salsa include Anaheim or banana peppers. Chop half an avocado and add it to any of the salsas above to make them slightly creamier with a more herbal flavor. Add a dash of cayenne or chipotle chili powder to add a bit of heat and flavor. Replace the lime juice with another citrus juice, such as lemon or orange, to vary the flavor. 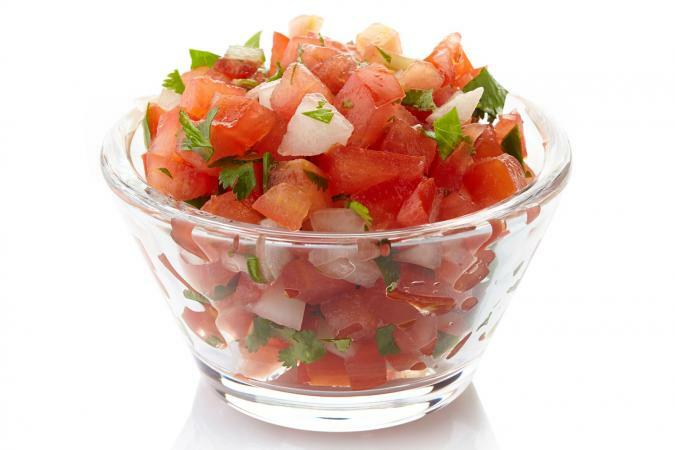 Salsa is a tasty - and healthy - addition to many meals and snacks. Salsas you don't have to cook come together quickly, making them a great way to jazz up a piece of fish or poultry on busy weeknights when you don't have as much time to cook.